The original Game Boy is sometimes affectionately known as a "brick". So what better way to celebrate the handheld's 25th birthday than by getting literal with one. 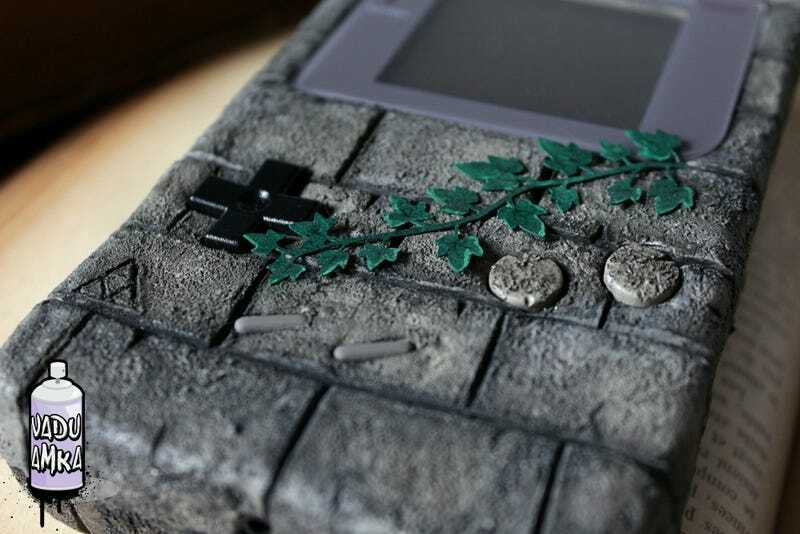 Vadu Amka's "Brick" work turns an old Game Boy into a brick wall from the Zelda series. Just so you know it's a brick wall from the Zelda series, and not a brick wall from Metroid, Mario or Animal Crossing, there's a Triforce and a Hylian crest.